Countries/jurisdictions will automatically and systematically exchange information about financial accounts. 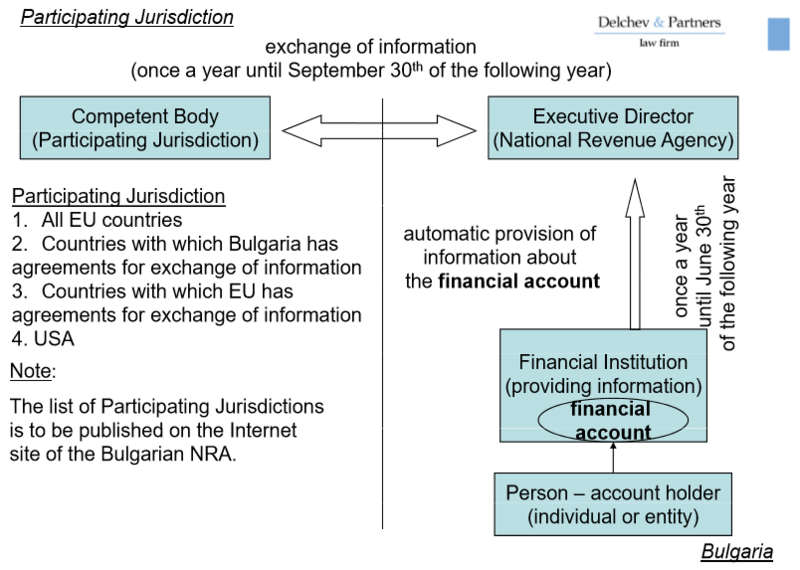 Bulgaria will start exchanging such information as of 1 stJanuary 2016. The information obtained through the exchange may be used for establishment and collection of tax liabilities. The information that is exchanged includes inter alianame and address of account holder, account number, account balance, interest received at the account through the calendar year, information for income from financial assets, dividends received etc.